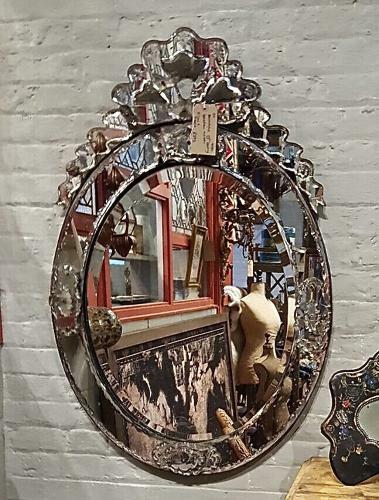 Beautiful 19th century Venetian mirror. There are some minor repairs but this doesn't detract from the mirror itself. Often these mirrors date to the 1930's but I think this one is earlier looking at the back, etc. Large and would definitely make a statement!